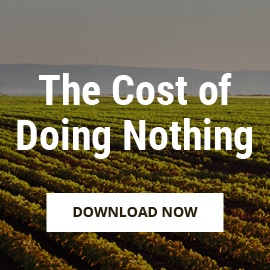 There arguably isn’t anything more important to your food company than the quality of the products you serve your customers. Your entire brand and reputation are held up on that quality. But not just the quality of the first time your customer enjoys your product, but the second, and the third, and the fourth. This is why auditing and managing the quality specifications of your products - to ensure consistent quality over time - is such a critical component to your brand. 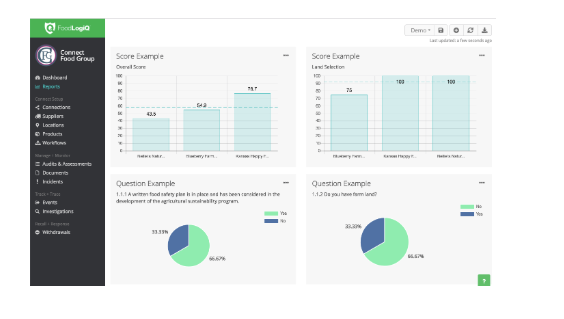 Understanding this critical need of our customers, FoodLogiQ is excited to announce the addition of product specification audits and enhanced assessment reporting within the Spring ’19 release of FoodLogiQ Connect. 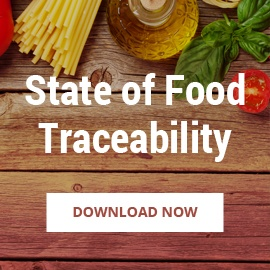 Within the existing audits and assessments module of Manage + Monitor, FoodLogiQ customers can now conduct audits against specific attributes of their products. First, customers define the specific data they would like to collect on their products such as size, weight or color as well as define the accepted values for each of those specific fields. 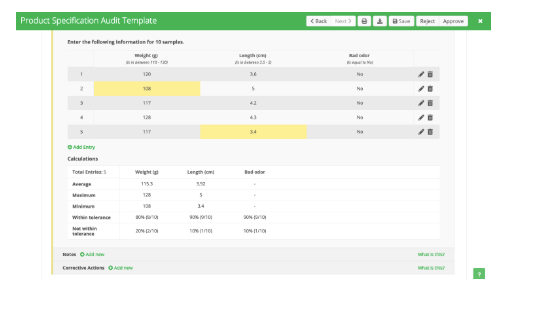 Once those specifications are defined, auditors are then able to gather the needed data in FoodLogiQ Connect. 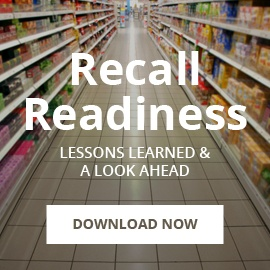 When samples fall outside of the accepted values, the data is clearly highlighted for the auditor who can then quickly issue a Corrective Action / Preventive Actions (CAPA) directly to suppliers in the platform. Once several samples are collected, the new feature will also automatically calculate minimums, maximums and averages for each attribute across samples. The results of a product specification audit can also be shared directly with suppliers and they are able to independently view the details of their performance as well. The results of product specification audits can seamlessly be exported in a PDF or CSV format as well. 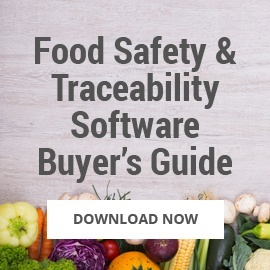 This release also contains several enhancements to the reporting module of FoodLogiQ Connect to provide greater control and detailed visibility of audits and assessments. 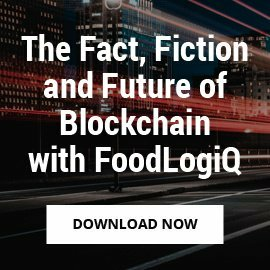 FoodLogiQ customers are now able to compare how their suppliers responded to specific audit or assessment questions for increased visibility. In addition to viewing average scores for each of your suppliers, FoodLogiQ customers can also compare supplier performance against one another on a specific audit or assessment. 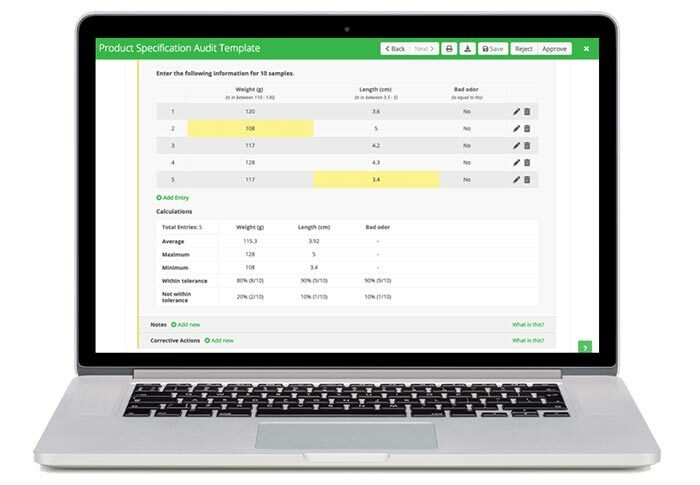 Want to see Product Specification Audits in Action? 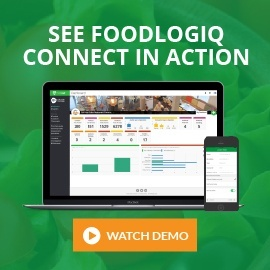 Join the FoodLogiQ team for a live demo on April 25th at 12:00 pm ET and learn more about Product Specification Audits & Assessments in FoodLogiQ Connect. Reserve your seat for the live demo today!